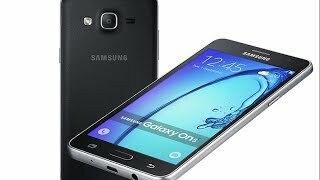 The Samsung Galaxy On5 is a budget phone that was only released in China at first in October, 2015. It was available only in Asia or a while. However, now the company has decided to release this affordable phone outside Asia. 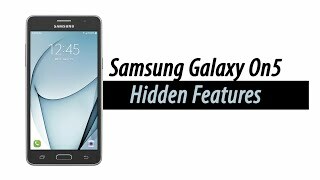 To learn more about this phone including the Samsung Galaxy On5 Nigeria price and specs, keep reading. 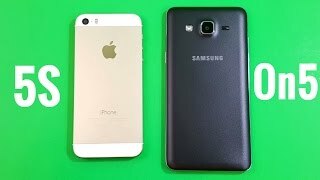 Most of the latest mid-range phones from Samsung looks the same more or less and the Samsung Galaxy On5 is no different. It’s definitely a good looking phone with the leather feel back and thin bezel and frame which makes the grip more comfortable. Unlike most of the latest phones from Samsung, this one is packing a 5.0-inch TFT display showing 1280 x 720 pixels resolution and 288 ppi of pixel density. It’s quite fat at 8.5mm thickness and weighs around 149g. If you are satisfied with the Samsung Galaxy On5 Nigeria price and want to get one, there are two colors to look out for: black and white. You can also check out the Asus Zenfone Go or Xiaomi Redmi 4 which is are almost in the similar pricing range. There is nothing surprising to look forward to here. To make sure users get a decent Android experience, the smartphone is packing an Exynos 3475 quad-core processor paired with 1.5GB of RAM. If you are not a heavy users this should be good enough for handling basic tasks. Storage might be a problem for some users as this phone is only packing 8GB built-in storage. Only 4.3GB of this storage can be accessed by users. There is a microSD card slot but some of the built-in apps cannot be moved to the microSD card slot which can be a deal breaker. There is the Asus Zenfone 3 and Xiaomi Redmi Note 4 for those who are looking for better specs without spending too much money. To make sure users get “brighter” and “more detailed” images, the smartphone is packing an 8-megapixel camera on the back and a 5-megapixel one on the front. Considering the phone is a budget one, its good enough for taking pictures and selfies. You can get easy access to the camera by pushing the home button twice. There is a wide selfie feature that allows you to capture more people in the frame. Powering up the phone is a 2600mAh removable Li-Ion battery which is good enough considering the specs inside. The Asus Zenfone Max 2016 is a great option for people who are looking for a phone with giant battery. As mentioned earlier, the Samsung Galaxy On5 is a budget phone. It’s available for around ₦ 68900 at the moment. 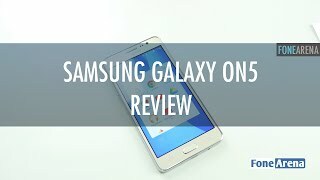 The galaxy on5 Mobile Phone is manufactured by Samsung and was added around November 2016 and is part of the Samsung Galaxy On5 series. 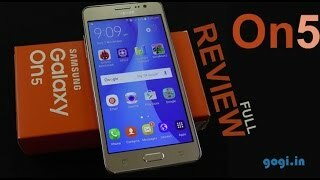 Samsung Galaxy ON5 Unboxing and In-Depth Review! 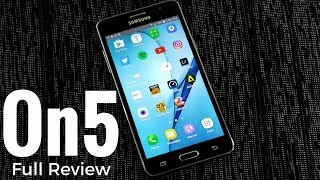 Samsung Galaxy On5 Unboxing & First Impressions!